The international* ATHENA Award® Program celebrates women as valued members and leaders of the community and recognizes those who support them. 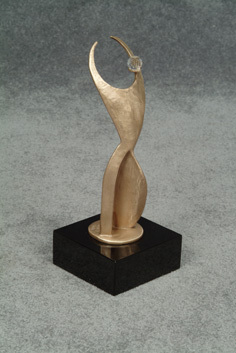 The ATHENA Award honors an individual for business or professional accomplishments, for community service and especially for mentoring others and providing a role model to encourage women to achieve their full leadership potential. We are also proud to announce that this will be the fourth year the Chamber will be presenting the ATHENA Young Professional Leadership Award, created to recognize emerging leaders in our community. 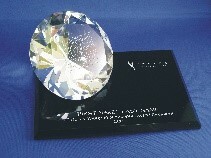 Please join MRCC and our long time Diamond Sponsor, BMW of Freehold in celebrating our 33rd year of hosting this award. ATHENA Leadership Award Nominees give back to our community in profoundly meaningful ways and make it a better place to live, work and lead. Danielle Bagdzinski............Cowan, Gunteski & Co., P.A. The International ATHENA® Award Program celebrates women as valued members and leaders of the community and recognizes those who support them. It honors individuals who strive toward the highest levels of professional accomplishment...women and men who excel in their chosen field, have devoted time and energy to their community in a meaningful way, and who also open paths so that others may follow. The ATHENA Leadership Award celebrates exemplary leadership and is reflective of a quote by Plato: What is honored in a country will be cultivated there. Over 6000 recipients have been honored with the ATHENA Leadership Award since the program?s inception in 1982. Presented to leaders across professional sectors, the ATHENA Leadership Award's rich history, international scope and focus on mentorship distinguish it as one of the most prestigious leadership awards one can receive.